Get on the Fortnite Battle Bus, join my squad, and let’s enter the Battle Royale. After jumping from the Battle Bus and soaring with my glider I landed on the Fortnite (FN) map- the island. I am a Noob with a Noob Skin; I’m nothing special yet. I picked Snobby Shores over Retail Row because I was planning to hide when I landed. . Everyone seems to pick Tilted Towers, right? My squad is about to find out that I am a Bush Camper. Trees were added to Dusty Divot but I can’t hide well enough there. I am scared to go get some Loot. Without Loot I’m done. My squad is yelling in my headset. Oh man! I just watched an Omega Skin drink a Big Shield right in front of me. I could have used the Health Points from the potion. The storm is coming. My squad mates encourage me to find a SCAR, a Double Pump, or an RPG- and take down some people. When one of your squad is taken down you are supposed to revive them. I can’t get Experiential Points (XP) if I am afraid. I can’t earn Battle Stars and Tier Up unless I get brave and start a mission. My squad doesn’t understand why I’m scared or hesitant – I stutter and they don’t get it – yet. Epic Games Fortnite is a world-wide sensation. FN is played from a third-person perspective and cycles between managing one's resources at a safe home base, and then going out on missions to complete quests to collect resources and obtain rewards to advance the game's story. My old stuttering problem reminds me of the Battle Royale of Fortnite (FN) in several ways. I was a Bush Camper- I did not participate in class unless forced. I asked to go to the bathroom to escape reading out loud. Snipers were the people who teased me and laughed at me. I wanted to hide my stutter from new people. I was afraid that they wouldn’t want me on their squad. I would Rage Quit on talking (FN for give up). I had no XP and I had no Dance. Have you seen the Floss Dance yet? My Battle Royale with stuttering began as I finished college. I had to Level Up and earn Battle Stars. I needed HP to do what I was about to do in life. I landed at the front desk of a 1,200 room hotel, I participated in two Toastmasters meetings per week, and then I got my Master’s degree in speech pathology. My missions included going to shopping malls and talking to strangers as well as making phone calls simply to make myself talk. My only Loot was the mirror I used to watch myself talk when making phone calls. I Leveled Up and became a speech pathologist 1992. Back to FN. A big storm comes every game and it closes in on you. The objective is to go into the center of the storm or it can take health points (HP). Being teased, bullied, fearing oral presentations, and even afraid to be asked my name was my “stuttering storm” and it took away my HP. I can earn stuttering HP by speaking up, standing up to bullies, and taking on missions such as speaking in a play or volunteering to read in class. Drinking a Chug Jug can give me all HP in FN, but in real life I have to rally myself to speak up. I want to level up by completing all the challenges. In FN you can buy V-Bucks and then purchase Skins and Dances. Dances can be used to show off and celebrate once you Knock someone (shoot them). 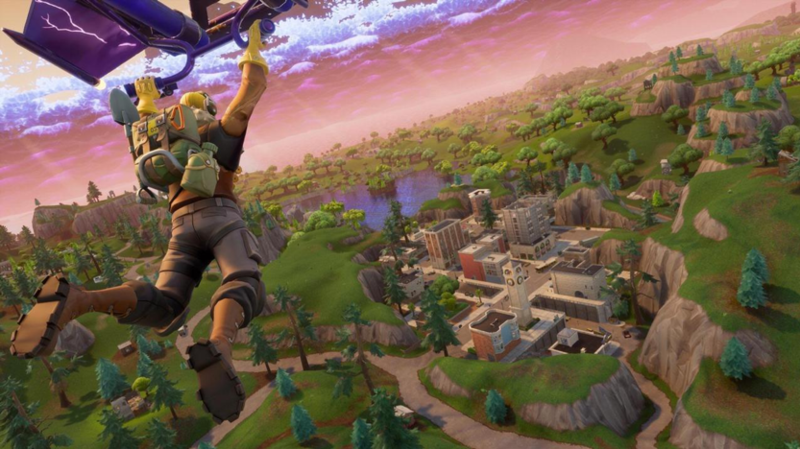 Be careful because while you are taunting someone by “taking the L,” or Hype, or Orange Justice you may get taken down while celebrating. When someone is Knocked in FN they are often teased with a dance just before they get Finished (killed). Do not tease others in real life unless you can handle revenge teasing. If one of your friends on your squad is teased, make sure that you revive them and support them. You can be happy in your Noob skin; be happy in your own skin. You need not buy skins to still be cool. If you stutter, you are still cool and Legendary. To Tier Up and earn Battle Stars I have to be brave, leave my Bush Camp hiding spot, get some Loot, and take on all my speech fears. By building a Fort I am protected from teasing and bullying. I make my own HP through courage to talk and standing up to bullies and teasing. My mission is to win at stuttering and become a Blockbuster Skin.